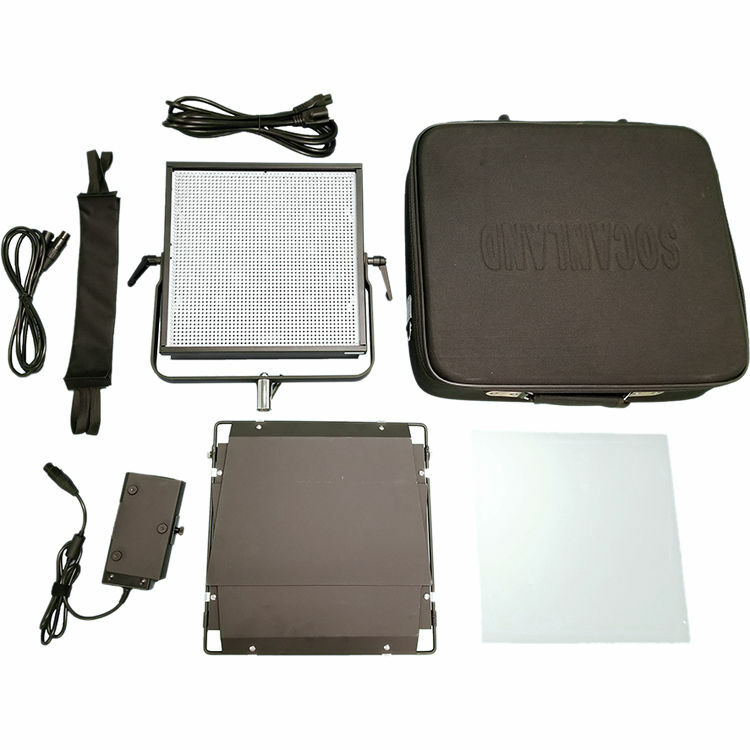 With 2304 bright LEDs and accurate CRI 95 color rendition that's variable from 3200 to 5600K, the Nova-X Bi-Color DMX 60-Degree Flood 1x1 Panel Kit with Gold Mount Battery Plate from Intellytech can integrate seamlessly with legacy fixtures, meet any ambient light challenge, and maximize your creative potential. Light intensity is variable from 0 to 100%. Both functions can be adjusted locally on the fixture or remotely from a console via onboard DMX. The 12 x 12" fixture is only 2" thick allowing it to be squeezed into tight spaces, and since it runs cool to the touch, there's no danger of damage to the set or discomfort of the talent. Its 60-degree beam angle offers wide coverage with a soft edge thanks to the included diffuser and can be controlled and directed by the included 4-way barndoors. The sturdy metal housing has an easy-to-read LCD display and a yoke with 5/8" receiver that can be removed for hand holding. The Nova-X 1x1 is ready for worldwide use thanks to its 100-240 VAC included adapter or on batteries via the included Gold mount battery plate when shooting on location without access to mains power. The Nova-X comes with a carry case for storage and transport.